As a research scientist who designs surveys for a living, I make it a point to complete almost every one sent to me because I know the value of good data. But I find myself wishing I could sit out the 2020 census — or at least leave one question blank. The Trump administration’s eleventh-hour decision to add a question about citizenship to the census will almost certainly have a major chilling effect among immigrants. One expert predicts that as many as 24 million people would not be counted as a result of adding this question. This would sabotage the census, seriously compromise vital public health research, and ultimately damage the public’s health. In my own work designing and administering public health surveys, I rely on data from the decennial census to ensure accurate representation. These data form the basis for any population-level statistic you hear about — birth rate, death rate, disease rates within a community, and so on. The lack of a reliable population count would produce cascading errors on any subsequent research using those data. My colleagues at the Public Health Institute, for example, used U.S. census data in a groundbreaking study that looked at breast cancer rates in California at the smaller census-tract level, rather than by county. They were able to map previously unidentified areas with elevated rates of breast cancer, paving the way for further research on those regions and helping local health officials plan screenings and outreach activities. If the statistics my colleagues used were fatally flawed, we might be over-screening women who aren’t at risk or entirely missing those who are. At a national level, the Centers for Disease Control and Prevention uses census data to identify communities across the country that are vulnerable to disasters or disease outbreaks and that may need assistance preparing for these hazards. The CDC also uses census information to pinpoint geographic areas with low education levels and high poverty rates — two key data points that indicate poorer health status. Public health and government agencies use census figures to plan social service programs like the Special Supplemental Nutrition Program for Women, Infants, and Children. They are also used for disaster response — to help rescue victims of a hurricane, for example. Undercounts on the census represent real people who would be invisible to rescuers. If an area like Houston were to flood again, an undercount of residents would be devastating for the entire community, not just for immigrants. Census data are also used to distribute more than $600 billion each year to states for important health-related public programs such as Medicaid, emergency room services, school lunches, and preventive care services. The census data inform plans to shape healthy communities, including the development of businesses and the building of roads, schools, health centers, and other important institutions. If you’re concerned about things like teen pregnancy rates, air pollution, or the opioid epidemic, you should also be concerned about accurate census data. As a survey researcher, I know that questions typically go through a rigorous testing process that can take months or even years to determine if they are reliable and valid — especially on something as important as a national census. There won’t be an opportunity to thoroughly test the citizenship question. The U.S. Constitution calls on the government to conduct a head count of all persons in the country, not all citizens. Including this question is a misuse of the data process and an abuse of power. For the first time, the census will be conducted mostly online. Many experts are concerned that the online systems won’t be secured by the time the 2020 census goes live. With near-daily revelations of high-level data breaches, it is reasonable for people to worry that their personal information could be compromised, intentionally or not. If they also choose to opt out of participating because of the citizenship question, the numbers will be even further skewed. It’s no secret that immigrants in the U.S. are already fearful in a political and social climate charged by anti-immigrant rhetoric and highly publicized Immigration and Customs Enforcement raids. The Census Bureau’s own expert advisory panel alluded to this, cautioning that the insertion of a citizenship question would lead to an incorrect census count. 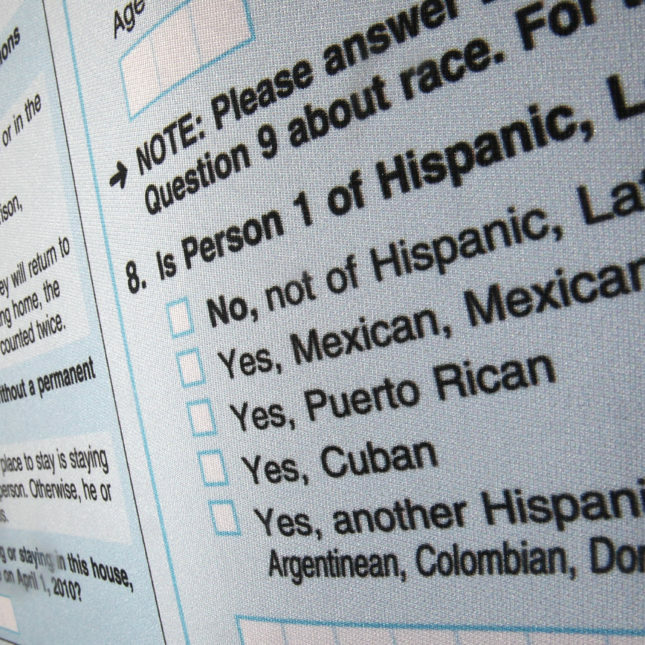 Even before the issue of the citizenship question arose, low-income people, people of color, and immigrants have historically been the most undercounted census groups — and they are precisely the ones who stand to lose the most if public health and other programs are underfunded due to more widespread undercounting of U.S. residents. Beyond public health, distorting census data by asking this question is a fundamental threat to our democracy. The number of representatives sent to Congress and the number of Electoral College votes are determined by the census, and an inaccurate count would jeopardize the representation of millions of citizens and noncitizens alike. The U.S. Constitution calls on the government to conduct a head count of all persons in the country, not all citizens. Including a question about citizenship is a misuse of the data process and an abuse of power. Legal challenges are being made to oppose addition of the citizenship question, and I hope that the courts will rule in their favor. If not, much as I may feel compelled to avoid the 2020 census in solidarity with those who are too afraid to take it, I know that would be counterproductive. We will be stuck with whatever comes from this census for the next 10 years, and that’s why every one of us needs to be counted. Marta Induni, Ph.D., the research program director of the Survey Research Group at the Public Health Institute in Oakland, Calif., has served as state coordinator of surveys including the California Behavioral Risk Factor Survey, the California Women’s Health Survey, and the Youth Risk Behavior Survey. The citizenship question has been asked on every census for 130 years (until 1950) & on the long form census until 2000. Since the census is used to determine federal funds to states, Congressional seats, and public assistance, I see no reason why it should not be asked. And in fact, it MUST be asked to accurately benefit and serve the legal (documented) citizens and immigrants of our country. If the census were ONLY to determine the population of the country, then it should not matter if the question is there or not. If you move to Australia, Canada or the UK, you will be asked if you’re a citizen on their census. I am also one individual who refuses to place my personal information on the internet. This is with my health care insurance company; pharmacy; name of my personal health care practitioners; and I refuse to answer the question of what my ethnicity, race and color whenever I have a form to fill out. Therefore, I was born and raised in MA. I have parents who were also born and raised in MA. Other than my one now long deceased family member who became a naturalized citizen very young in the individual’s life, the majority of our family members were born and raised in MA; several others have been born and raised in different states in the USA. I am not going to be answering any such type of census that is demanding that I report my personal information, including my citizenship status too, most especially because of the creature who wants to change the census in order to get rid of anymore people from other countries who I know personally, as they are some of the most upstanding individuals who are in the midst of acquiring their legal status as Americans. I also stand in solidarity with the individuals who are extremely hard working good people who care about their lives and the lives of their community too. This citizenship question is more important than not knowing who is in our country illegally . A country with out boarders is not a country. My taxes should be used for supporting my country’s citizens. If we are talking about taxes supporting US citizens then what’s your opinion about undocumented immigrant’s billions of dollars in contribution to the US economy through income, local, sales, and property taxes? According to ITEP in 2013, these totaled to about 12 billion dollars and it’s only grown since then. There is a misconception that undocumented immigrants don’t pay taxes and this is false. Millions of them work, get paid where income taxes are deducted. Their income taxes are funneled to supplement Social Security, which is a social service they will never tap into because of their status. So I believe we should be honest about what this article implies, it’s talking about public health, not whether undocumented immigrants are deserving to be in the USA or not. This entire article is premised upon the idea that illegal immigrants are entitled to US government services. They’re not. The author discusses disease mapping and public health impacts important to the general population. And, does not hide the cost issue you note. Whether hospitals, doctors or other healthcare professionals should provide service to illegals or the uninsured and whether the government should provide direct or indirect reimbursement is certainly worth discussing. That argument continues. Who says that every question on the census needs to be answered?? I have to say, I am rather disappointed in STAT. I have been reading your public for actual science news. Your article on abortion earlier in the week was a smiliar disappointment. We don’t come here for generic news that we can get from NYT, WaPo, or the Globe. This has little or nothing to do with the world of science. We come for the science. Keep it up and I’ll stop reading STAT. I doubt that I am alone in my assessment. Didn’t see the abortion piece. But, applicability to public health here seems clear. How is that not science? Given the abortion comparison, I’m guessing because of the “illegal immigration” angle? I for one will stand with MO, Mr. Fleming not so much! Your link to the Brookings piece on the Census does not say what you purport it says. You have conveniently exaggerated speculation that millions might have a reason not to reply to the Census, to an imaginary prediction that will happen. The 24 million figure is more like an absolute cap than any type of prediction. You lost me. This piece says, “One expert predicts…” and the Bookings piece says, “My analysis, detailed below, suggests that some 24.3 million people would have good reason to skip the 2020 Census if they believe their names and addresses could be shared with law enforcement” How is that not congruent?